Dizziness is a perceived sensation of head spinning or movement, often accompanied by nausea, confusion and poor balance. Causes of dizziness, sometimes called vertigo, may include brain disorders, fluid in the inner ear, motion sickness, diabetes medications, tumors, allergies and infections. According to the University of Maryland Medical Center (UMMC), certain foods may help prevent or reduce dizziness commonly associated with low blood sugar (hypoglycemia). Treatment for underlying medical causes of dizziness is generally required for best results. Protein provides amino acids, the building blocks of lean tissue. Protein also helps stabilize blood sugar levels and may prevent or reduce dizziness caused by skipping meals, under-eating and hypoglycemia associated with diabetes. According to the UMMC, increased dietary protein, as part of an overall balanced, nutrient-rich diet, can reduce symptoms of hypoglycemia. Optimum protein sources are low in saturated fat and include skinless white meat poultry, fish, legumes, eggs/egg whites, tofu and low-fat dairy or soy products. 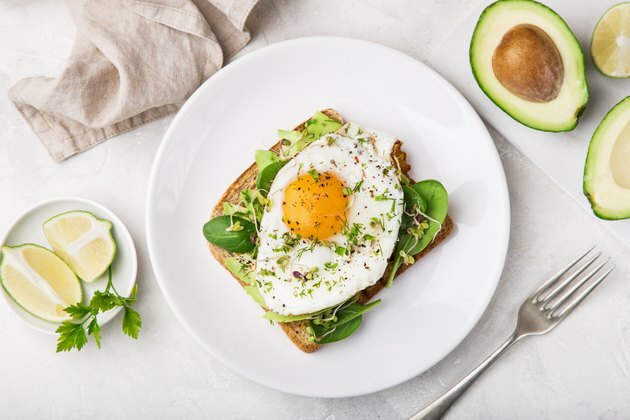 The UMMC suggests that people with recurrent hypoglycemia reap roughly 30 percent of daily calories, or one-third of each meal, from protein. Whole grains are grains that have not been stripped of important nutrients during food processing. They supply plentiful amounts of dietary fiber and nutrients, such as iron and B-vitamins. For these reasons, the UMMC suggests whole grains in place of refined grains as a means of preventing dizziness and other symptoms of hypoglycemia. People with anemia, a form of iron deficiency characterized by dizziness and fatigue, may also benefit from regular consumption of whole grains. Examples of nutrient-rich whole-grain foods include whole grain cereals, breads, whole-grain pasta, wild rice, quinoa, spelt, barley and popcorn. To ensure proper nutrient intake when purchasing whole grain-based foods, whole grains should be listed as primary ingredients on nutrition labels. When blood sugar drops dramatically, it may cause sudden, intense dizziness. Though such drops can affect most anyone, they are a common complication of diabetes and diabetes treatment. In addition to regular blood glucose monitoring and an overall healthy, doctor-approved diet, the American Diabetes Association (ADA) recommends a snack containing 15 to 20 grams of carbohydrates as a means of remedying sudden blood sugar decline. Examples of foods that contain 15 to 20 grams of carbohydrates include four ounces (1/2 cup) of pure fruit juice, four ounces "regular" (sugar-containing) soda and two tablespoons unsweetened raisins or other dried fruit. If dizziness continues after a carbohydrate-containing snack is consumed, the ADA suggests prompt medical attention. Dizziness can also be caused by Meniere's disease, or inflammation of the inner ear. In addition to dizziness, this condition can also cause ringing in the ears, hearing loss, nausea, loss of balance or headaches, according to HealthLine. Symptoms of Meniere's disease can improve with dietary changes, including avoiding caffeine, limiting alcoholic beverages to one per day and keeping salt intake to less than 2,000 milligrams per day, according to a study published in 2017 by "American Family Physician."